Few things can make my mouth water when looking at a restaurant menu like the words Shrimp and Pork Wontons in Spicy Sauce. 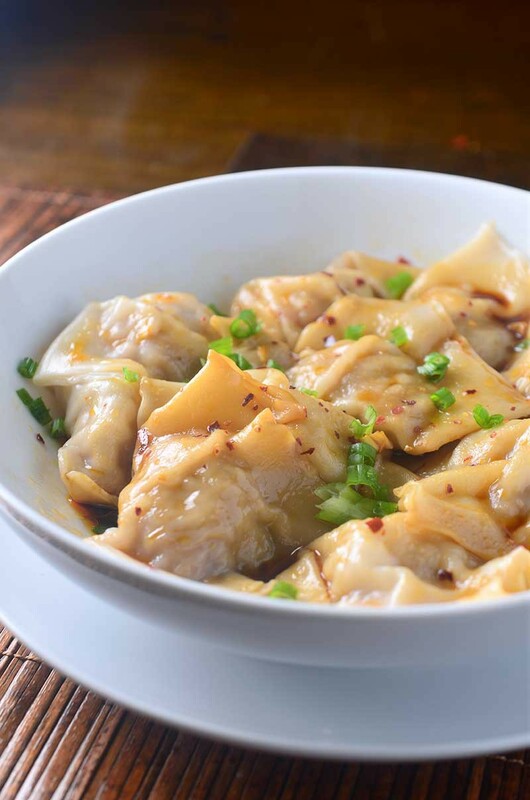 The savory wontons in the delectable nutty, spicy sauce is one of my favorite things to order when we go to our favorite Asian restaurant. And now I can make them at home. Score! With two kiddos we don’t get out to eat as much as we used to. They are well behaved, well, most of the time. But if I am being completely honest, sometimes it’s more exhausting to go out to eat than it is stay home and make dinner. In some cases, it’s probably easier to make a 12 course meal. It’s because of this, I find myself trying to recreate some of my favorite dishes at home. 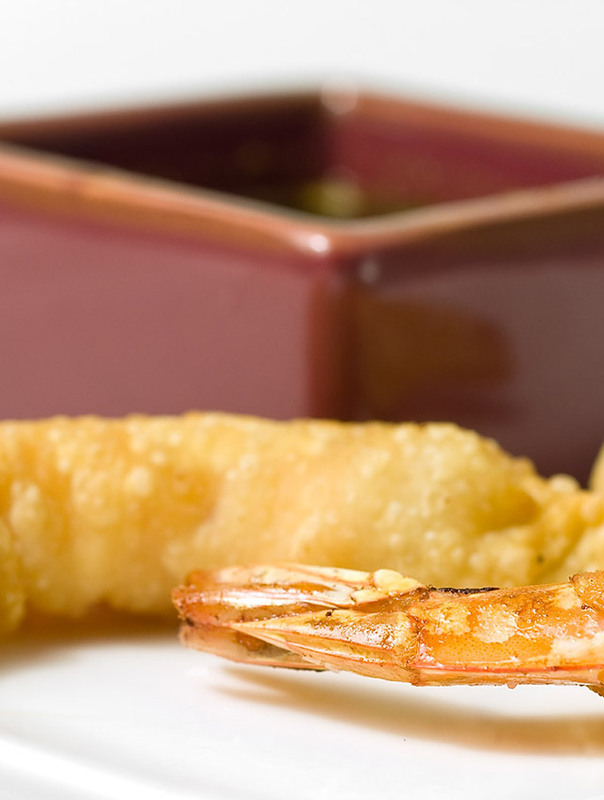 Dishes like these Shrimp and Pork Wontons in Spicy Sauce. I first tried Shrimp and Pork Wontons in Spicy Sauce at Din Tai Fung here in Seattle. When we go there I always have to order the garlic fried green beans and Shrimp and Pork Wontons in Spicy Sauce. Problem is, the place is ALWAYS packed. And no reservations. So we’re talking an hour and half wait on most days. This means that even if the kids were in good spirits when we got there, by the time we sat down and got any food they would be in a word: hangry. Honestly, Ryan and I usually were too. I mean an hour and a half is a loooooooooonng time. 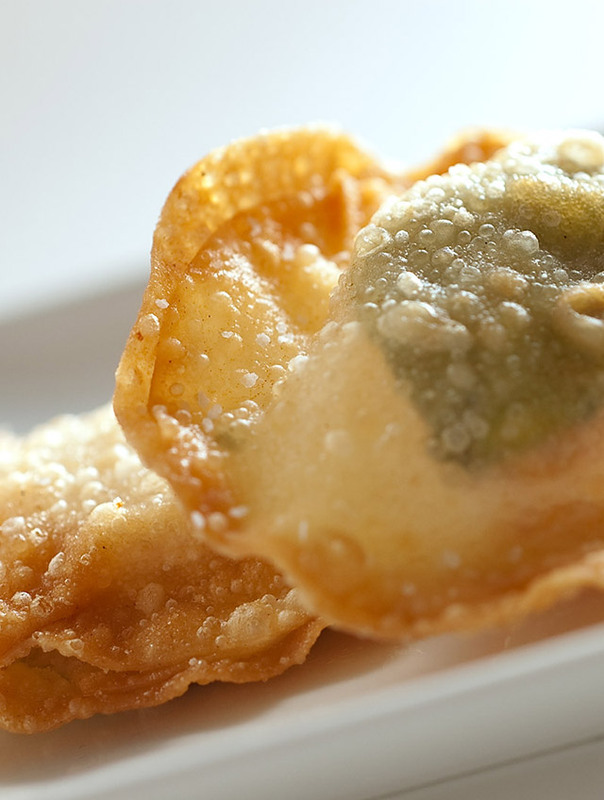 Even for delectable wontons. But guess what? Now I don’t have to do that anymore because now I can make them at home! As good as the wontons are, the sauce is my favorite part. I could pretty much just eat it with a spoon. 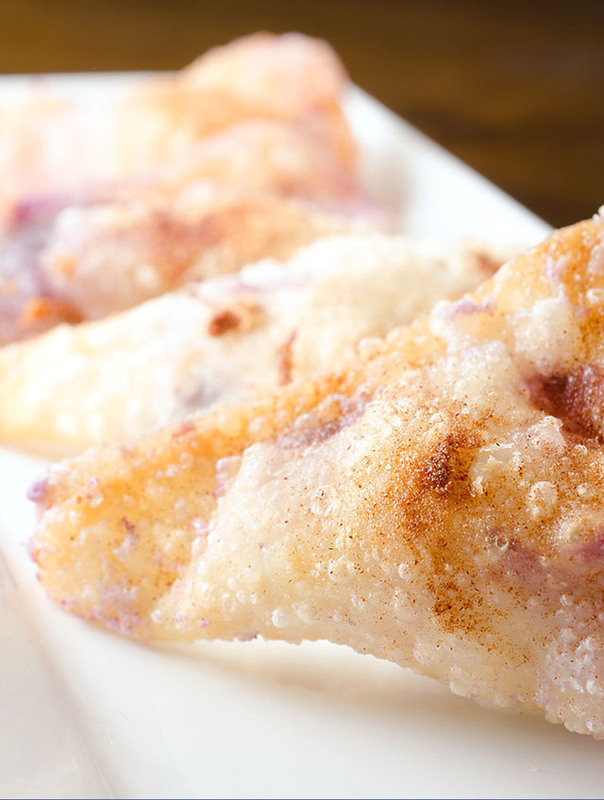 When it came to making these shrimp and pork wontons at home, the sauce was the hardest part. It took a few tries for me to get it just the way I wanted it. The first time I made it I added way too much soy and used a regular rice vinegar. The second time I made it I cut down the soy but still used rice vinegar. It was closer to what I wanted but still didn’t have the right tang to it. The third time I made it, I swapped out the rice vinegar for Chinese Black Vinegar and BAM. Hit the nail on the head. The sauce was that same spicy, nutty, tangy sauce I remembered. And the best part about being able to make these at home? I can make a double batch and freeze half. That way whenever I get the craving, all I have to do is whip up a batch of the sauce and I can have these on the table in no time! Make the sauce first by whisking together all ingredients. Let sit at room temperature until ready to use. To make the wontons combine garlic, shrimp, pork, soy sauce, sesame oil, ginger and salt in a food processor. Pulse until the shrimp and pork are minced fine and the mixture is mixed well. To make a wonton, spoon a heaping teaspoon of the mixture into the center of the wonton wrapper. Dip a finger in water and run it along the outer edges of the wonton wrapper. Fold bottom corner of the wrapper over the filling and press all edges to close the wrapper, you’ll have a triangle. With the top of the triangle facing away from you,fold up the left and right corners. 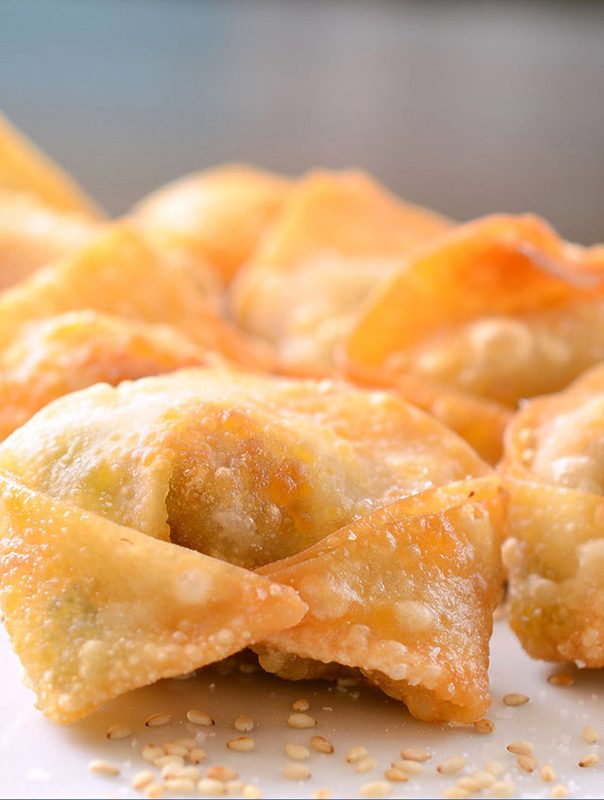 Repeat with remaining ingredients until you have about 20 wontons. Bring a large pot of water to boil. Add in wontons. Cook until the water starts to boil again. Add in a cup of cold water. Bring to a boil again and add one more cup of cold water. Once it starts boiling again, and the wontons are floating, they should be cooked through. Cut into one to test if unsure. Use a slotted spoon to transfer the wontons to a large bowl. Pour the sauce over the top. Gently stir the wontons. Serve immediately. 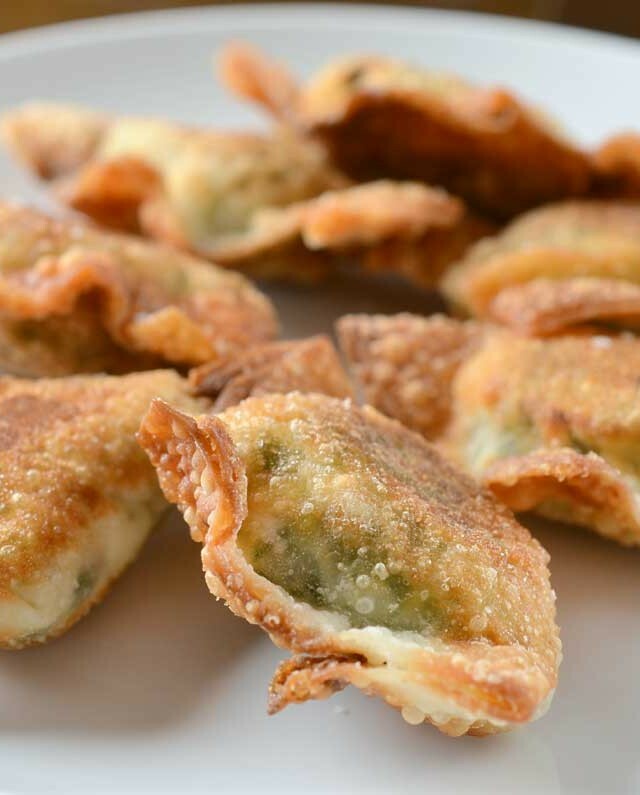 I’m making these Shrimp and Pork Wontons this weekend and I’m so excited! I bet they are going to be amazing! Best combination of flavors! 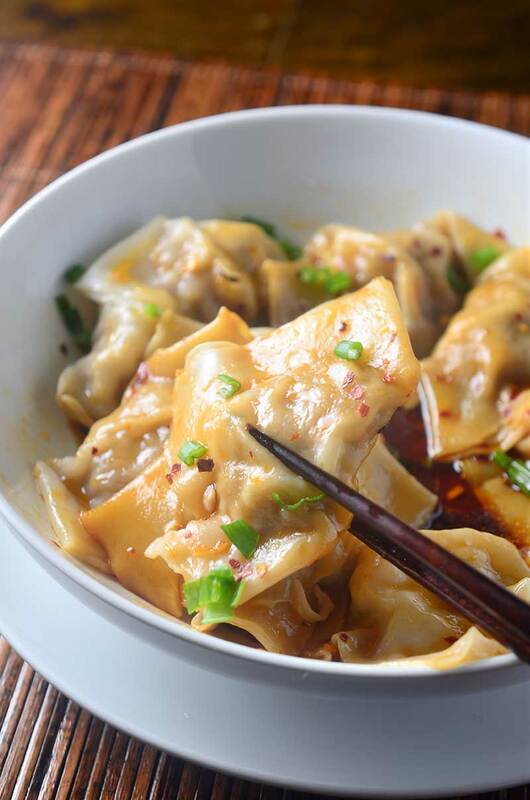 So much better than restaurant wontons. Deliciousness! My husband will go crazy overs these! And he loves spicy! Spicy is where it’s at! They look fantastic! I’d love to try this, so impressive and crazy delicious! That sauce .. SIGH!! Your recipe is so impressive. I love it so much! That looks sooo GOOD! Right?! The sauce is my favorite part! Thank you! Excited to try these! Do you recommend a specific brand of Chinese black vinegar? Is this something that can be pan fried? Sure! If you decide to pan fry them, I would dip them in the sauce rather than pouring the sauce over them. 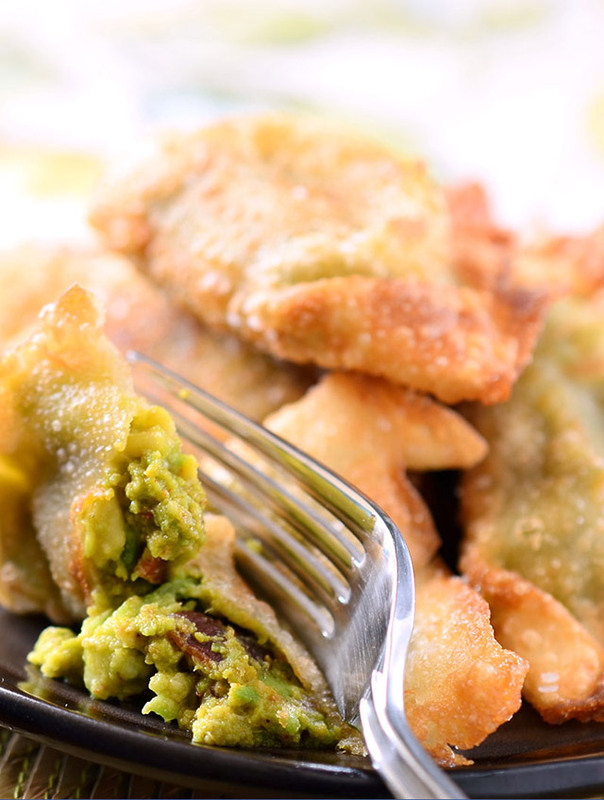 Wontons are favorites anytime and this looks yum! Is there a certain type of Chili oil for this? ung in Taipei. They use a whole shrimp instead of mincing it. I’ve made double batches of this for the last 3 nights. My husband keeps asking for more! These are delicious! I had to get the black vinegar from amazon since none of the grocery stores around here carry it. The first time as a sub for the black vinegar I used 1T balsamic, 1T rice vinegar and 3T water and it worked out great. The black vinegar though, really kicked it up. Love your recipes!! Thank you Marcia! That is so nice to hear! I am glad your husband likes these too. It’s one of my all time favorites and I agree the black vinegar totally makes it! what can you sub for Chinese black vinegar?? The Chinese Black Vinegar really makes this dish if you can’t find it the closest you could get is balsamic. You could also do a combo of balsamic and rice vinegar. Hope this helps! I knew these were the dumplings from Din Tai Fung just looking at the picture and before i read your article and it is my favorite at that restaraunt too. I had them at the Hong Kong and Arcadia (LA) restaurants. We dont have a Din Tai Fung in Hawaii :( I am super excited to try this because the sauce is heavenly! Wow do these look super scrumptious! I would looooove to enjoy these at home, soon! I’m pinned to try my hand at them. Fab! Absolutley one of my favorite dishes, too. Your photos are beautiful. This looks beyond amazing and I truly can’t wait to try it!